HAPPY ANNIVERSARY TO DILLON AND I! We have been dating for 4 wonderful years :) Dillon and I aren't very big on lovey dovey stuff... I don't know many men who are. 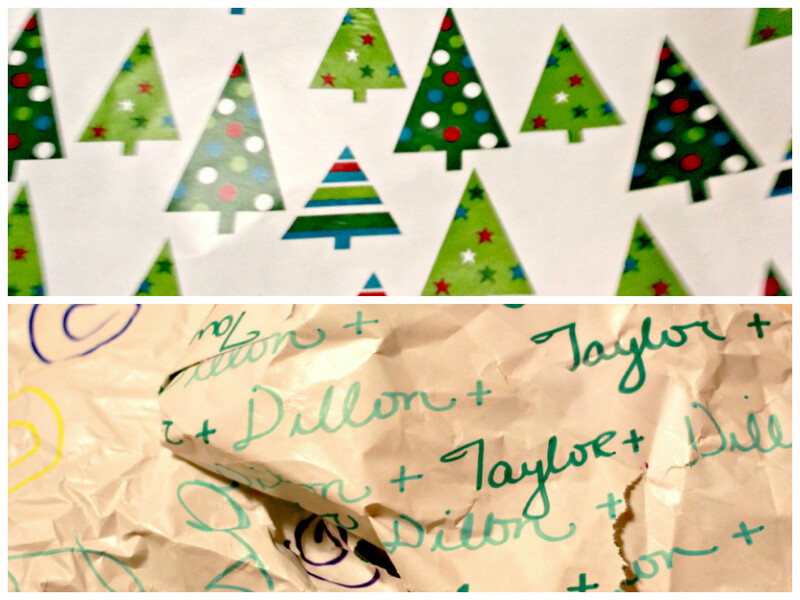 So when our anniversary rolls around I try to do small practical things that Dillon won't think are too weird or mushy. I pack Dillon's lunch in the morning and he always get a banana. But this banana was special! I used the magic of oxygen for this one. Take a butter knife and lightly press into the banana to write a message. I wrote Happy 4th Anniversary. I got a text around 1o'clock saying, "Got your banana, pretty awesome." 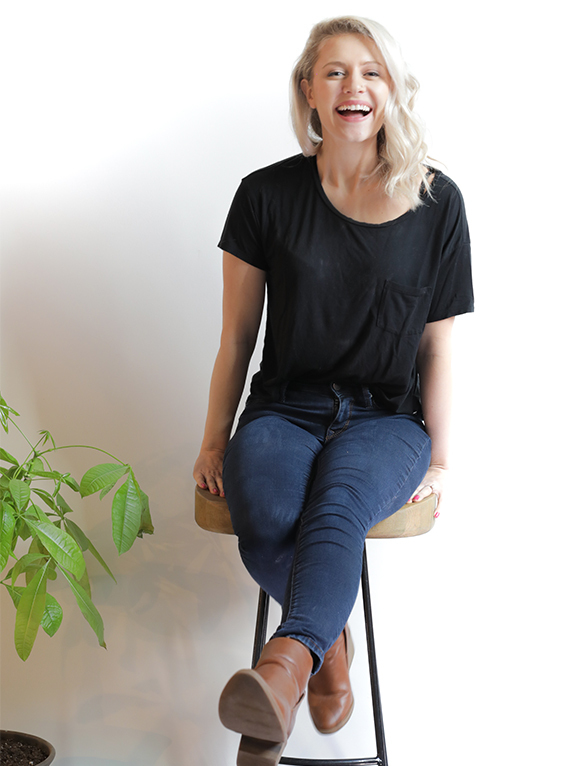 So this one is anti-mush boyfriend approved! 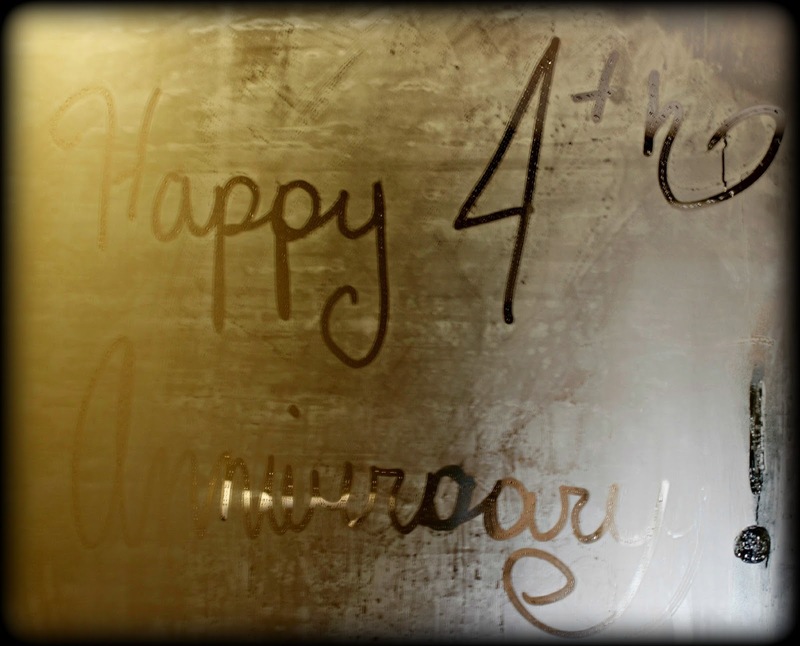 After my shower, I wrote on the steamed up mirror Happy 4th Anniversary! When Dillon got home from work and took his shower, a magic message appeared! All of these ideas were GOLD for my anniversary and Dillon wasn't creeped out by my romantics at all! Score!! What cool things do you do for you significant other that aren't too over the top?